I don't eat cooked cauliflower too often. 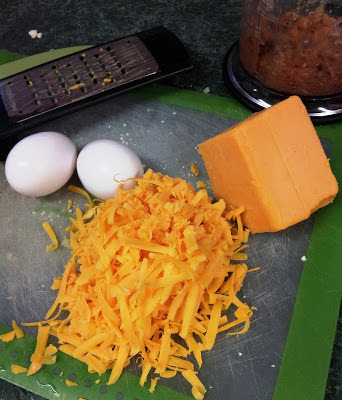 I like it but I just don't think of it often as a side dish. Potatoes and hash browns though, we do eat plenty of. So the idea of making hash browns out of cauliflower sounded awesome. 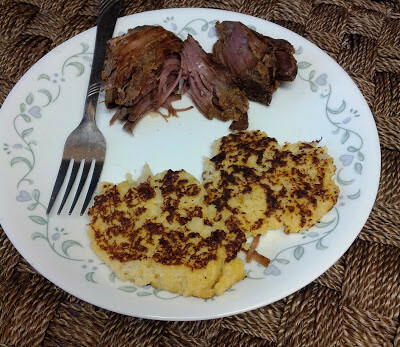 They fried up beautifully and the flavor was super good with the chipotle pepper. They weren't spicy, just super flavorful. Great side dish without the potato. Microwave cauliflower in a bowl with a bit of water until very soft, about 10 minutes. Mash the cauliflower up with a potato masher. Using a food processor, mince the chipotle pepper and the onion until finely ground. 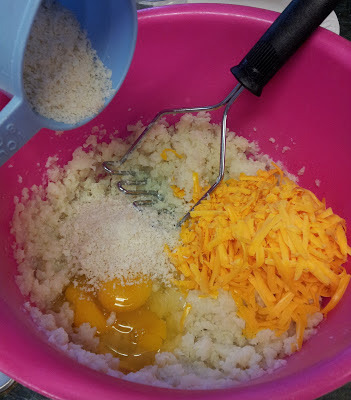 Mix the eggs, cheese, chipotle onion mixture, panko crumbs, salt and pepper. 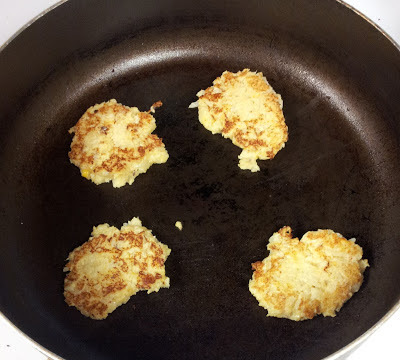 Form into patties and pan fry in a bit of cooking spray until golden brown on both sides. Serve immediately.